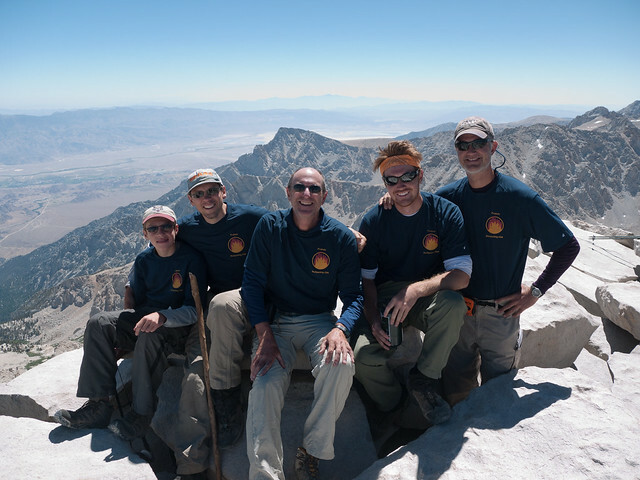 Len, Ben, Mike, Tony, and Jeff’s first trip includes a traverse of the High Sierra Trail from Crescent Meadow to the Mt. Whitney Portal. Regular hikers Joel and John are not on this trip because of previous commitments and back problems, respectively. 70 miles from west to east in 6 days and 5 nights with the first night at the Bearpaw Meadow High Sierra Camp. Backcountry sites included Big Arroyo, Upper Funston Meadow, Junction Meadow, and Guitar Lake. The trip culminated with a push to the summit of Mt. Whitney, 14,505 feet above sea level.